Goalie Antti Niemi may be on a short leash, with Alex Stalock waiting to take over. “Always a bridesmaid, never the bride” is a phrase that sums up the San Jose Sharks very well. Many times over the past 10 years or so, the Sharks were among the favorites in the National Hockey League to win the Stanley Cup, only to suffer embarrassing first-round exits in the playoffs. 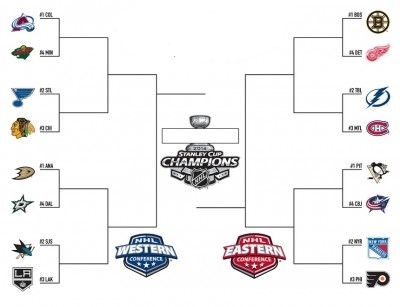 Once again, they have a very talented team that may be among the favorites to win, but there is the cloud of a goalie controversy hanging over the club as they prepare to face the Los Angeles Kings in the first round. Despite the collective talent and potential of the Sharks, the team enters the post-season with some doubts about their number one goaltender. Antti Niemi was 39-17-7 this season with a 2.39 goals-against-average (GAA), a .913 save-percentage (SV%) and four shutouts. Although Niemi’s overall numbers are good, he struggled at times and has been outplayed recently by backup Alex Stalock. In 24 games, 18 of them starts, this season, Stalock was 12-5-2 with a minuscule 1.87 GAA, a .932 SV% and two shutouts. 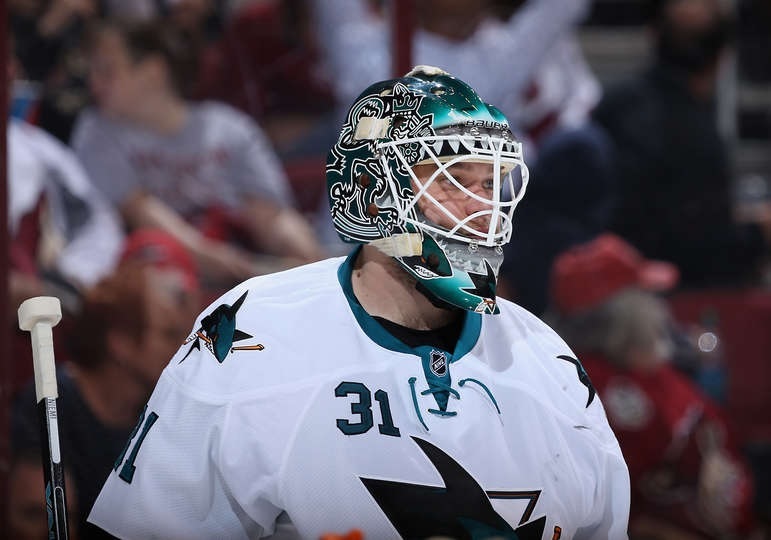 Niemi is the starter for Game 1, but could be pulled in favor of Stalock, if he doesn’t perform up to, or above par. Joe Pavelski led the way for the Sharks this season, scoring a career-high 41 goals and 89 points in 82 games. In addition to his offensive breakout, Pavelski was once again strong with his two-way play and won 56.0% of his faceoffs this season. He’s expected to play on the third line to give the Sharks three solid offensive lines. Joe Thornton was once again the masterful playmaker on the team, dishing out 65 assists (2nd in NHL) and scoring 76 points in 82 games. Like Pavelski, Thornton was also dominant on face-offs, having won 56.1% this season. The speedy Patrick Marleau scored 30-plus goals (33) for the seventh time in his NHL career, and had 70 points in 82 games. Marleau was yet another Shark that dominated face-offs as well (52.9%). Youngster Logan Couture is a rising star in the NHL and one of the best two-way players in the game today. Injuries limited him to 65 games this season, but he posted a productive 54 points and won better than half of his face-offs. Rookie Tomas Hertl impressed in the early going this season with a four-goal game. Hertl is an electrifying puck-handler whose one-on-one ability resembles the highlight reel plays of a young Jaromir Jagr. A knee injury limited Hertl to only 37 games this season, but he amassed 25 points. Former defenseman Brent Burns has been a solid winger this season with 22 goals and 48 points in 69 games. Burns possesses a heavy shot, but has not shown much consistency as a forward. He’ll need to find the net with more consistency if the Sharks are to finally realize their potential. On the blue line, Dan Boyle (36 points) and Jason Demers (34 points) led the way offensively. Although the Sharks’ defensemen move the puck well in transition, their collection of defensemen are mostly defensive-minded. Marc-Edouard Vlasic will never be mistaken for Bobby Orr, but he one of the best at breakout passes and provides a steady performance. Unlike the Sharks, the Kings were a poor offensive team in the NHL this year, but were perhaps the best defensive team in the league. Anze Kopitar was productive with a team-leading 70 points in 82 games. Jeff Carter was second on the team in points with 50 in 72 games (27 goals). 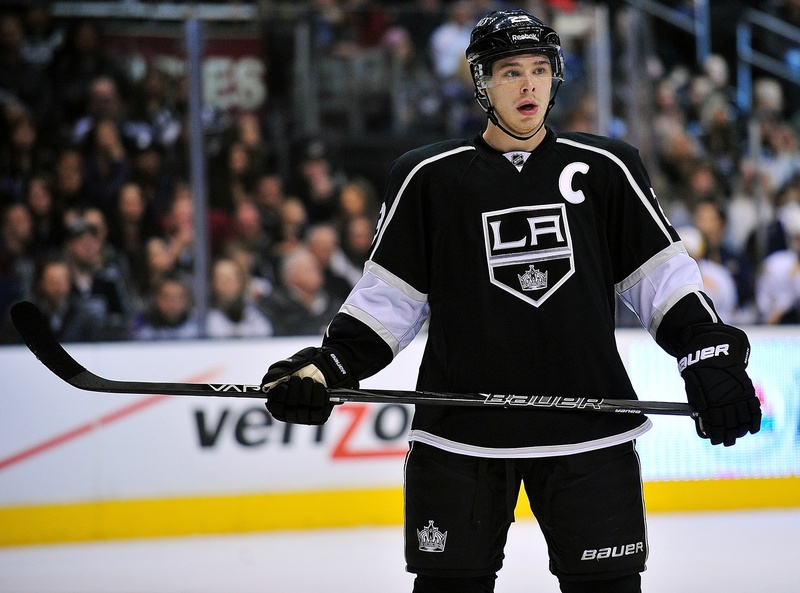 Gritty winger Dustin Brown had a very disappointing season, posting only 27 points in 79 games. Youngster Tyler Toffoli is a player to keep an eye on in this series. Toffoli posted 23 points in 36 wins, but only six points in 26 losses. In need of more offensive punch, the Kings acquired Marian Gaborik at the trade deadline. .
On the blue line, the Kings have more offensive talent than the Sharks do. Drew Doughty is one of the best defensemen in the NHL at leading a rush. Doughty tallied 37 points in 78 games this season. 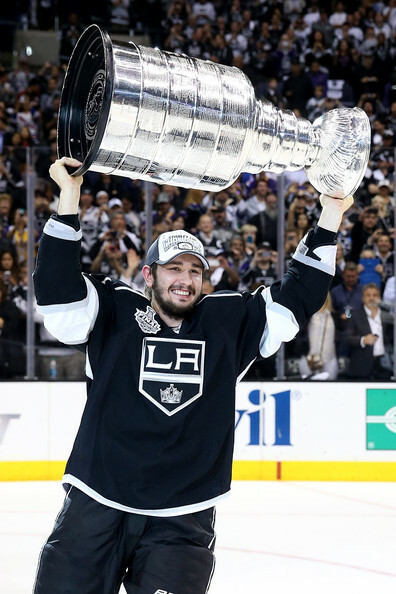 If not for the play of Doughty and Slava Voynov, the Kings would have scored even fewer goals this year. Goaltender Jonathan Quick struggled mightily at the start of the season, but improved as the season progressed. Quick finished the campaign 27-17-4 with a 2.07 GAA, a .915 SV% and six shutouts. Quick returned to form after the Olympics, posting a record of 11-4-2 with a 1.86 GAA, .924 SV% and three shutouts the rest of the way. When he is on his game, Quick is one of the top goaltenders in the league. He has superb reflexes and is a very athletic goaltender, however, he has a tendency to play the angles poorly at times and be forced to sprawl while being out of position. Ultimately, this series may come down to an oft-overlooked stat: faceoffs. Both the Kings and Sharks were tied for second in the NHL in face-off win percentage this season. The Sharks have the edge offensively, so the key to victory for the Kings are a strong defense and a steady Quick. 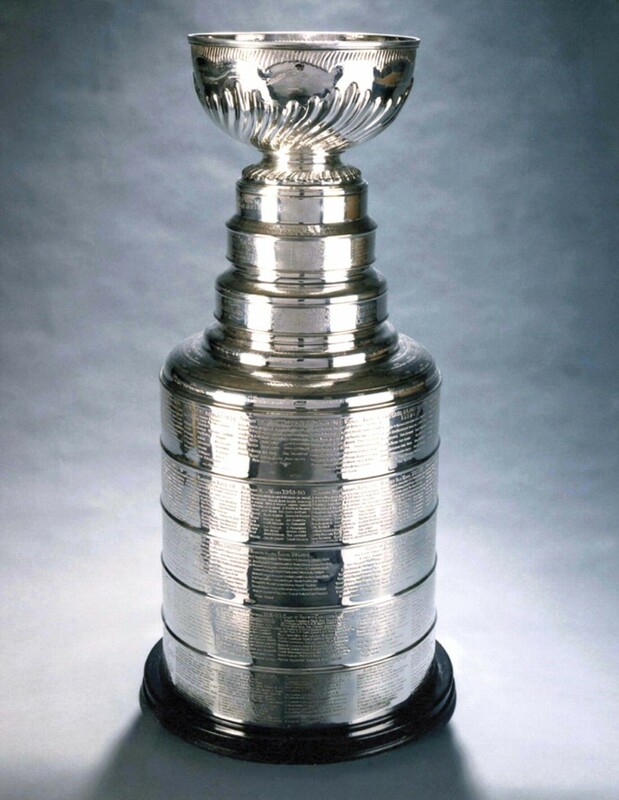 LA will need to play keep-away – the Sharks cannot score if they do not have the puck. This should be an excellent series, but the Sharks’ firepower should help them come out on top. Toffoli, Carter and Gaborik will have to find the net early and often if the Kings are to have a chance.